Tonight’s the night. Despite the crushing problems facing the Rio Olympics, the Games are finally kicking off tonight (sort of). 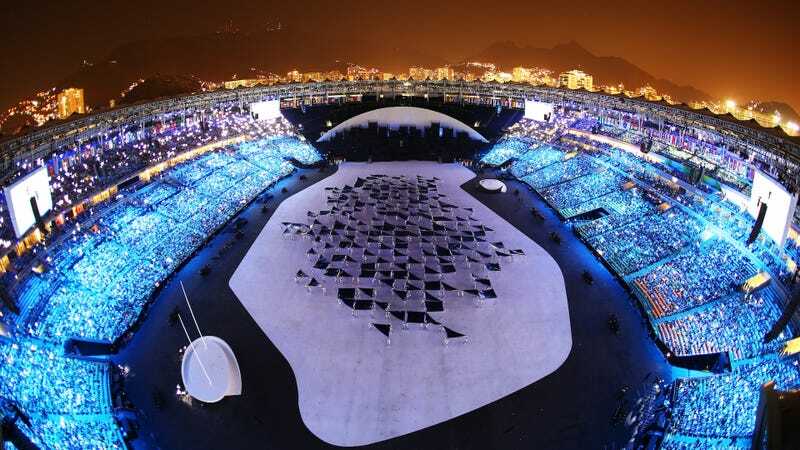 We’ll be liveblogging the televised Opening Ceremony here. Clearly moved by the Olympic spirit of cooperation, our friends from Jezebel are joining us! Let’s do this.